With over $1.3 billion reported in damages due to the floods that are currently ravaging midwest plains, people are losing homes, cars and places of business. But following a particularly bad flood by the Platte river which runs both near Omaha and Lincoln, two friends found something that lightened the mood, if even only a little. Gayland Stouffer and Kyle Simpson were checking out the damages to Simpson's property in Schuyler when they saw an abandoned refrigerator. Tanner Podraza posted the story to Facebook. 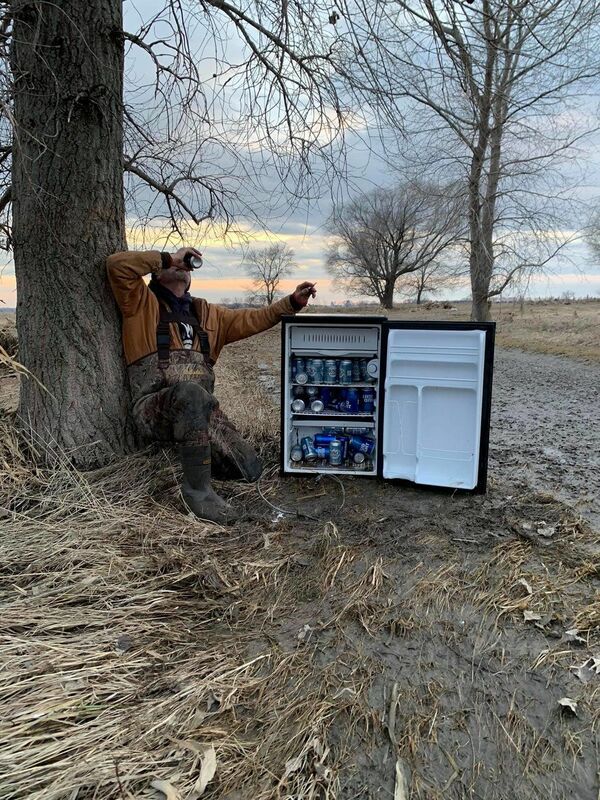 "Got a text message from the boys back at Duck Camp [ Lost Island ] The flood left plenty of damage but also left a surprise.... #NEBRASKASTRONG"
They found it completely stocked with ice cold Bud and Busch light. The fridge itself was later identified as belonging to the Healy family, who own a seed company in Schuyler and a cabin nearby. They noticed the fridge had scorch marks around the edges, just as theirs did, when it survived a house fire in 2007, according to the Omaha World-Herald. Brian Healy was shocked that the fridge managed to survive the flood. "I couldn't hardly believe they found it all intact," said Healy. "The pictures really made me laugh." So that fridge has apparently been through the ringer, but its survival has brought so many laughs. The flooding in the midwest is ongoing. At least three people have died after waters from snow-melt and the rain from the "bomb cyclone" that hit last week have raged through the flood plains. This silver lining is nice, but the midwest could use your thoughts right now.